You’ve chosen freelancing as your career path. You’re excited and ready to work with your first paying clients. So you hang out your shingle and prepare for the first phone call or email. Except there’s a problem. You don’t have a portfolio of previous work. What do you do when you have no portfolio to show potential clients? This is a bit of a chicken and egg conundrum. When you’ve already worked with clients then you will obviously have examples or clips to show other people. Great examples of your work help persuade more clients to hire you. When you’re a complete newbie in your particular freelancing specialism, without examples to show, then prospects are skeptical regarding your abilities and expertise. This means it’s a lot harder to persuade people hire you. This can be awfully frustrating when you’re trying to gain traction in your new freelancing career. So what’s a new and eager freelancer to do? How on earth are you to meet with freelancing success if you can’t get those first clients? How can you find freelancing work when you have no portfolio? There are thousands upon thousands of charities and non-profit organizations who might need your specialist skills. Whether you’re a freelance marketer, copywriter, graphic designer, consultant, or social media aficionado, there will be a charity in need of your talent. Many charities and non-profits of course do pay decent fees for professional services but they also rely on the good will of people donating their time and services. Consider doing a little work for a charity, pro bono (free of charge), for a short while, in return for using the project as a sample in your portfolio. The majority of charities will be delighted for the help. Such work will also reflect well on you in the eyes of potential clients. Small local businesses are another group who almost certainly need your services in some form or another. Normally they might not be able to afford the rates you intend to charge one day but for now, they can be an excellent stepping stone to building a portfolio. They know they desperately need help in some area but don’t have the time, knowledge, or finances to carry out the particular tasks. By offering your services to these micro-businesses for a small symbolic fee you can quickly get a few project examples under your belt. You’ll also be able to ask for some testimonials, after you surprise them with your exceptional services, which can go a long way to reassuring other potential clients. Working with tiny businesses in this way also gives you the chance to test out your freelance processes, such as invoicing clients, writing quotes and proposals, time tracking, and project management. It will also give you further insights into the world of business. A great source of referrals for any new freelancer is the network that is your family and friends. When you’re starting on a new career path, many of your close friends and family will be aware of what you’re doing. In most cases, hopefully, they’ll be supportive. 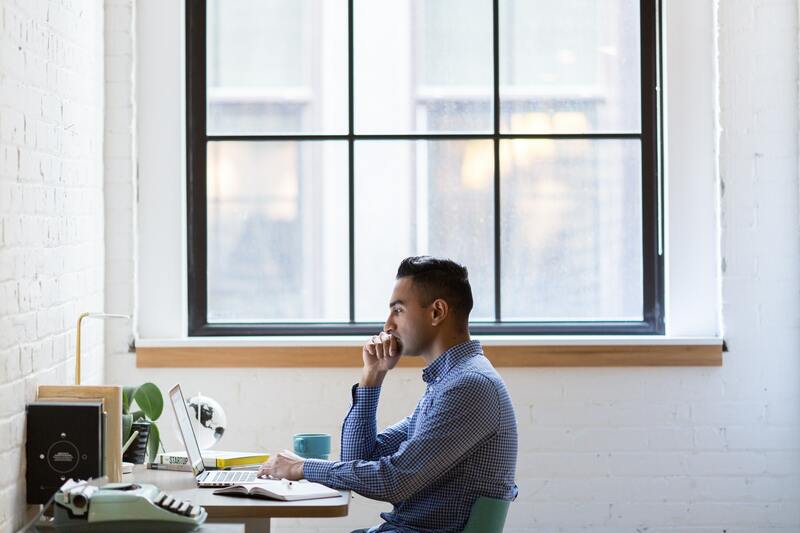 They can potentially help you find ways to gain portfolio pieces, whether from their own businesses and personal requirements, or from the people they know. Even pro bono work for an aunt or uncle who runs the local youth football team website can help a young web designer gain that first valuable sample. It doesn’t matter how small the project. As long as you can get some portfolio pieces which show your skills, that’ll work in your favor. Many freelancers, especially when they’re new, swap skills with fellow freelance professionals. For example, a newbie writer might write free content for a graphic designer in return for a free logo design. The projects don’t tend to be large. They’re just simple tasks which don’t eat up too much time but are effective. Skill swapping is also a great way to build up your portfolio. Approach other freelancers and solopreneurs you know you can help in some way and who might offer a service you need in return. If successful and an agreement is reached, you’ll not only gain a free addition to a feature of your business (i.e. a new logo, written bio, or advice) but also an extra portfolio sample. That’s a double bonus. A potential triple bonus is that some of the freelancers you approach, in different industries, might well become future collaboration and referral partners. If all else fails, then creating samples yourself can be effective. Ideally, potential clients like to see your work in action in the real world but seeing made-up examples is better than none at all. In fact, for some freelance specialisms, there’s not much of a difference. A freelance makeup artist or fashion stylist can easily rope in a friend to act as a model. Also, your own website and marketing materials can show your skills. This is particularly applicable to freelance web designers, social media managers, and bloggers. Where possible, imagine your ideal client and then create an imaginary project based on how you would carry out their brief. If you label it as a ‘sample’ and don’t pretend it was for an actual client, then that’s perfectly acceptable, and can also be effective. Finding freelance work when you’re a newbie and without a portfolio is not a big hurdle. By using the above strategies, you can quickly build a collection of samples to show your ideal clients. Within a month you can have a nice portfolio, ready to proudly show to the world, even if you haven’t had a single paying client. Once you have samples to show, you’ll quickly attract those who see your talent, and who will want to pay you for your time and skills. You’ll also feel a lot more freelancing confidence to go out and contact the clients you really want.